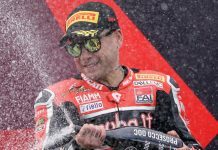 ASSEN, Netherlands – Alvaro Bautista continued his record-setting World Superbike season on Sunday at TT Circuit Assen, claiming a double victory to extend his championship lead. The Ducati rider won both ends of a Sunday doubleheader, set up after snowy weather postponed Saturday’s scheduled race by one day and canceled Sunday’s Superpole session. The extra race was of no consequence to Bautista, who roared off the start of the first sprint, took command and never looked back en route to victory in the 21-lap race by 3.130 seconds over Kawasaki’s Jonathan Rea. Home hero Michael van der Mark completed the race one podium for his first top-three finish of the year, followed by Alex Lowes and Leon Haslam. The second 21-lap race didn’t come quite as easy for Bautista, as Rea came from eighth to the lead in the first five corners, storming out in front to pace the first five circuits. But while Rea was standing his bike up at turn five to back Bautista up, the chasing Spaniard was growing impatient, eventually forcing the issue to the inside of turn eight. The aggressive move gave Bautista the lead for good, and he never looked back after that, running away to a 4.688-second victory over van der Mark, who overhauled Rea at turn 13 for second with three laps remaining. Alex Lowes and Chaz Davies completed the top five in the second race of the day. Sunday’s double score gives Bautista a record 11 straight World Superbike wins to open the season, all coming in the series rookie’s first 11 appearances. He also ties Rea’s series mark for consecutive World Superbike wins, set last season. 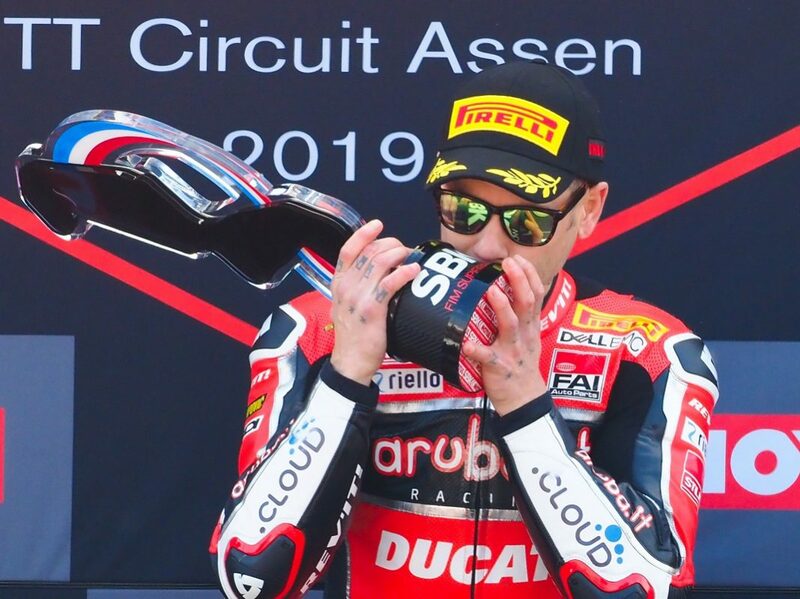 Bautista’s victories on Sunday were the first triumphs for Ducati at TT Circuit Assen since Sylvain Guintoli in the first race of the 2012 Assen weekend. 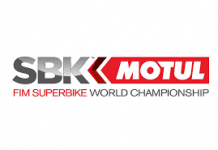 The manufacturer now has 352 wins in World Superbike competition and 27 at Assen.